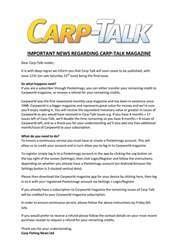 This week’s bumper 20th anniversary issue of Carp-Talk (issue 1024) is available to download now. 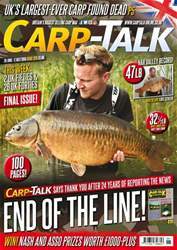 In this week’s action-packed issue, Martin Locke relives the most memorable fishing years of his life, and Shaun Harrison spends a few days at a water lost in time. Simon Crow looks back at his season so far, Trakker and Gardner products go under the spotlight, Calum Kletta banks a personal-best common from close quarters, Steve Briggs talks ‘Short-Session Success’, and Rich ‘Fat Bloke’ Adam remembers a red-letter day. 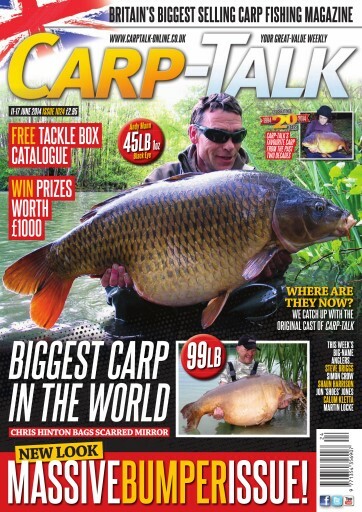 In a few nostalgic pieces, we catch up with the original cast of the first-ever issue of Carp-Talk to find out where they are now, and we look back at our top 20 carp to feature in the magazine over the past two decades. 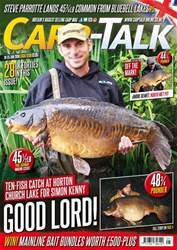 The Fox-Mainline Carp Angler of the Year competition continues, and there are £440-plus of Sonik and £550-plus of Fox Easy Mat products to give away. We have also got news of the latest Wychwood Rising Stars competition.